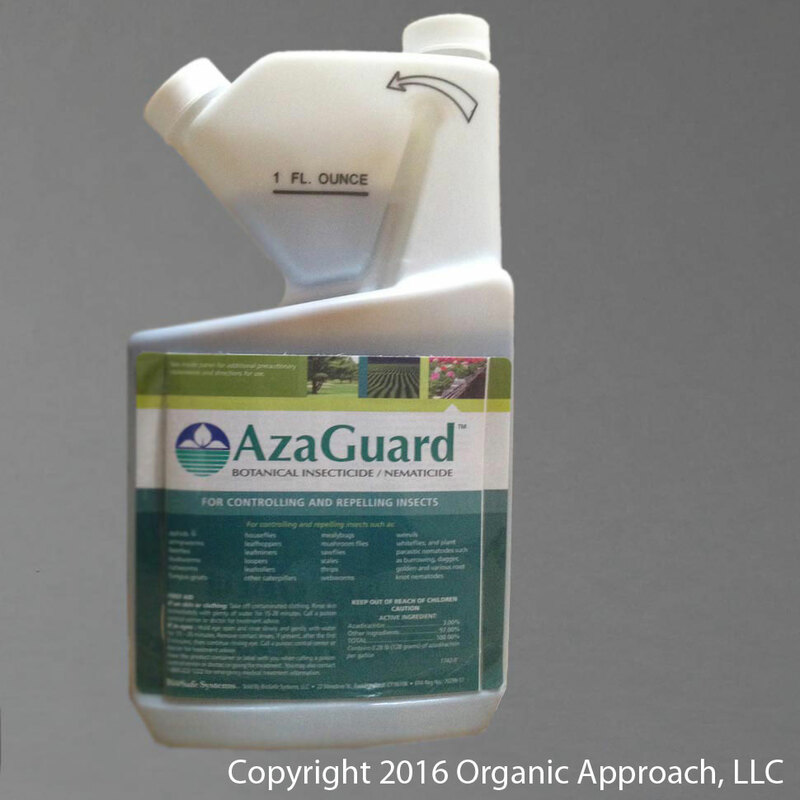 AzaGuard is an organic insecticide that reduces insect pressure and damage to plants and it’s botanical chemistry is a critical addition to your Integrated Pest Management plan. The combination of Azadirachtin and the organic surfactants in AzaGuard provides a multiple mode of action formulation that safely controls more than 300 insect species throughout the season. AzaGuard is an organic insecticide with 3% Azadirachtin. AzaGuard controls insects by disrupting their metabolism and by doing so interfering with their ability to grow larger through their molting phase, which is when insects grow a new larger exoskeleton. AzaGuard helps to control more than 300 different insect species, and can safely be used inside and outside. AzaGuard will not kill adult insects but has been show to repel some. Please see the label for directions on use and possible hazards of use for this product. This product should only be used by a professional, or an individual who has read the entire label and is aware of all the possible hazards associated with this product.